Sunny Buzzy Books: Book Blogger Hop: Do you read along with your Audio books? 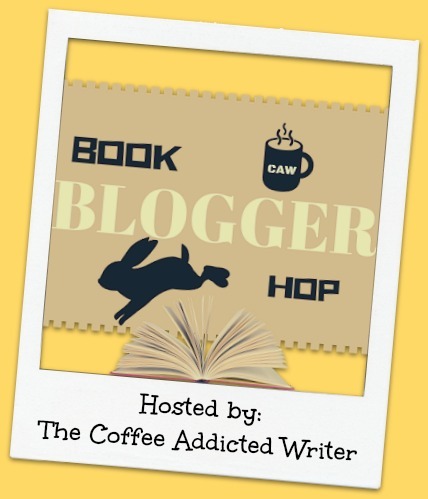 Book Blogger Hop: Do you read along with your Audio books? Do you read along with your Audiobooks? What would be the actual point of that? Surely, the purpose of an audiobook is to free you up to do other things while listening? If so, sitting there reading along with the narrator would most definitely defeat the purpose. Also, I read a lot faster than a narrator narrates so I'd end up reading ahead and the narrator would be droning on behind and it'd turn into a big annoying mess. I understand swapping back and forth between the audio and text versions of a book - even though it's not something I've done myself - as it allows a lot of flexibility on how you consume the story but doing both at the same time is a great big fat nope for me. To be fair though, I'm an audiobook newbie so I could be in the minority on this. I only really started properly listening to audiobooks in January as I've always had issues with following the story while listening to it. However, I discovered that I can listen, follow, and enjoy audiobooks when I'm driving. On my last couple of audiobooks, I've been so desperate to know what comes next once my commute ends that I've contemplated picking up the paperback when I got into the house (as I own my current reads in both audio and print) but I haven't been able to bring myself to do it. I've been enjoying the narrator and don't want to mix it up with my own inner reading voice. Thus, I started to experiment and push myself a little on what I was able to do while still following - and enjoying - an audiobook. So far I've experimented with cooking (a win), ironing (undecided), and colouring (a big win)... Basically, they're things that don't require a lot of brain power but allow me to listen in the house and still feel productive, otherwise I'd be sitting staring at the wall or going to bed super early so I can lie there and listen while staring at the ceiling (not very productive). I'm beginning to think that listening to audiobooks is a bit of an art form and the more you listen the greater your capacity for multitasking becomes... But I'll still never use that capacity for listening while reading unless my brain is able to listen to one book while reading a completely different one! Seems like a bit of a dumb question to me! If you're reading along with the book in your hand, why bother with the audio! They're so good for resting the eyes! Eyestrain is a real problem for me. So I've read a few responses to this this week and you know, you bring up something I think would bother me if I read audiobooks (which I don't - they tend to put me asleep if I sit down to listen and when I'm doing something active, I usually use that time to listen to music). I think I'd end up reading faster too and that could be ugly. It'd be a messy disaster, wouldn't it? I tried listening to an audiobook a few years ago and I was bored silly. I can read a 200 page book in about two hours so listening to it just isn't time effective for me. As a non-native speaker I get why somebody would read along. I have never had any troubles following a narrator but some accents may be a bit hard to understand. I find it distracting, and like you I'd read ahead. I think many of these narrators do an excellent job and I would do myself and them a disservice if I read ahead, I'd miss their performance. I'd never considered the benefits of reading along before but this hop has highlighted quite a few pros around it. Audiobooks serve a purpose for me. They fill the void, while I do something else, but I have heard of people, who like to switch back and forth. I did get a KU book with audio, and I would let the audio play, and it was pretty cool the way it highlighted as it read. I could see it being a great tool to learn the language or learn to read for younger readers. I've just discovered this with KU! I borrowed a ebook and got the audible book on loan too! Thanks for stopping by! I like your answer! I'm still not sure about audiobook because I get distracted too much while listening to anything. Think that I don't even watch TV while cooking or doing other chores in the house, I just can't follow. I'm very easily distracted too. I'm currently experimenting to work out where my limit is before I can't focus on the book anymore. I agree with you -- it's always been either/ or for me too, I never read and audiobook the same novel -- would be a waste of time and $$ too to get both. I'm still learning with audio too. I thought I might go back and forth with the audio/physical book (when I've gotten one for review - audio from the library) sp I could finish faster but I haven't tried it yet.